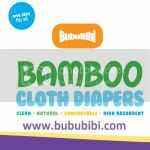 BubuBibi - www.bububibi.com - Bamboo Cloth Diapers: How many cloth diapers do I need? One of the first few questions potential customers ask is " How many diapers do I need ? "The number of diapers that you need depends on the age of the baby and also how often you plan to wash the diapers. Also, some babies are heavy wetter babies compared to others, therefore, there really isn't a formula to get exactly how many diapers you need. Of course, it's always ideal to have extras but if you are just now starting on cloth diapering and cannot afford to spend a whole lot, our advise is to wash them daily, so, make sure that you have 1 or 2 more than a day's worth. The reason is because you always want to count for accidents, for example, your little one may have taken something where upset his tummy and you will need a few more than the normal days. Also, when you are ready to invest more, you can add 2 diapers each pay check and that will give you some extras there. We've came out with a chart as to how many diapers you probably would need depending on your babies' age and how often you wash. Please note that this is just base on our experience, we have a little one and another one on the way and like mentioned above, each baby is different, so, bare in mind that this is not the formula to get the exact number. Always get 1 or 2 extras. Good thing about our BubuBibi diaper is that it has the pocket style and therefore, you can put additional diaper liners in the pocket so, technically, all you need is extra diaper liners. We will be more than happy to share with you our opinion if you have questions. 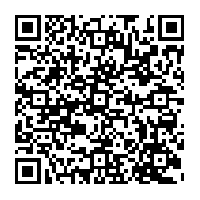 Please feel free to email us. Please remember that for the month of April, we are celebrating Earth Day special and we are offering 10% off your entire purchase. Remember to insert coupon code: EARTH2010 at checkout. Labels: Coupons, How many diapers needed?